This icon identifies the products eligible for a mail-in rebate. Look for it and save! Please note that those rebates are offered and managed by the manufacturers. PMCtire is not involved in the reception or process of your claims. 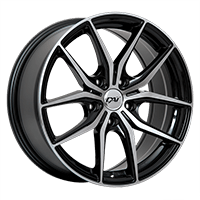 When filling your claim, write PMCtire inc. (not pmctire.com) as your dealer. The mail-in rebates are offered and managed by the manufacturers only and may change at any time. For more details, visit the manufacturer's website. 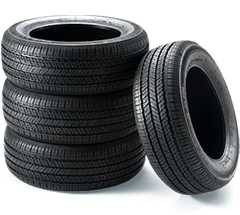 All manufacturer's mail-in rebates apply on the purchase of 4 selected tires. The rebates must be claimed directly with the manufacturer. PMCtire is in no way responsible for declined claims or delays in the reception of rebates. You can claim your rebate by mail with a printable form or on the manufacturer's website with an online form. For a more efficient communication with the manufacturer, we suggest you claim your rebate online. It will be easier to track the status of your claim and to provide the manufacturer with missing information if the need be. To get your mail-in rebate, you will need to fill out a form (online or printed) before the deadline set by the manufacturer. You'll have to attach/upload a copy of your invoice to your claim. Don't forget to write PMCtire inc. (not pmctire.com) as your dealer. Manufacturers require a copy of your original invoice as a purchase proof. Screenshot of an online order and order/shipment confirmation emails are not accepted. Certain manufacturers' mail-in rebates exclude online purchases. Those won't be tagged as offering mail-in rebates on our website. If you have questions, refer to our FAQ section ou contact our customer service.